Bangladesh Friendship Education Society (BFES) is a non-government development organization based in Bangladesh. Registered under NGO Affairs Bureau of Prime Minister office, it has been established in 1993 with a view to support education projects in rural areas. The Founders are basically educationists and development practitioners. The Mission of BFES is to promote Education for All. In Bangladesh low literacy is like other developing countries related to poverty and therefore, quality of education in every aspects is not achieving as essential to investment outcome. 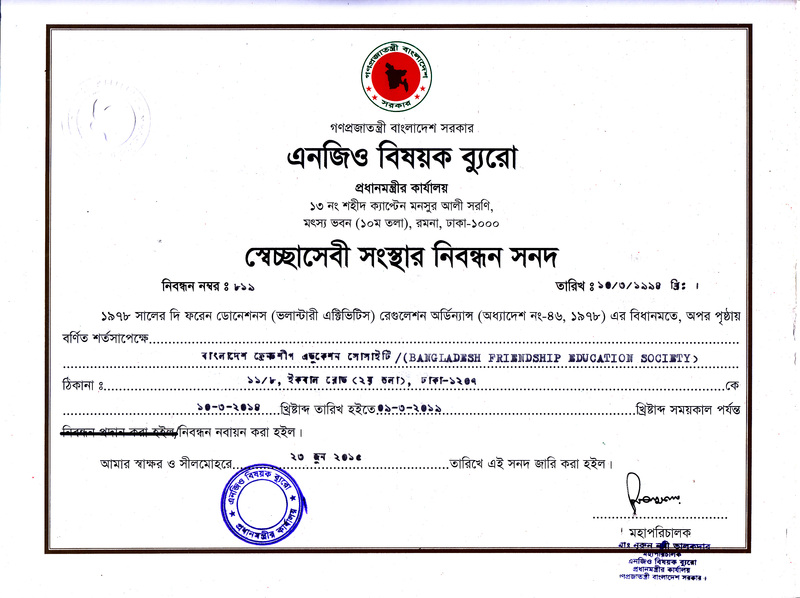 Amader Gram (Our Villages) is an ICT4D initiative of Bangladesh Friendship Education Society (BFES). The project is mostly centered and based on the village society and it is conceived/planned to build up as a demonstrative social innovation. This is obviously an innovative project and as a social innovation first of its kind in the country. Such a project, implementing among the beneficiary groups of “Amader Gram” (our village), has got immense potential in many ways- by collecting, collating, analyzing and using many socio-economic data those do not have only the preservative value. Our Village society is not static one; changes take place here everyday, though subtle. So, an established on-going process of data collection reflects the changing trends of the village society: changes of social lives, customs, technology, behavioral pattern, economic variations, occupational dimensions etc. By depicting the social mobility situation, the data collection process contributes to the social documentation. Through this project there is a formal way of collecting, preserving and even re-sourcing data on so many things both in respect of project’s own activities and beyond, instead of letting thousands of everyday data get lost. Other than this database initiative, BFES has created environment in Khulna division to treat rural community who are suffering from cancer. As a part of knowledge transfer, medical experts from United States and Canada are providing health services remotely. BFES has also taken another initiative to use climate data in changing village society. Under this program, supported by Bangladesh Government, BFES involved rural youths as change agent in community development efforts.